Before getting to the main meat of the episode, a Preamble Hut seems necessary to update a few stories of interest to KARTAS listeners. So gather round as Ken dispatches fresh claims of a DNA solution to the Jack the Ripper mystery, and Robin covers the latest bizarre twist in the Rob Ford saga. Or is that now the Doug Ford saga? Then nestle in with your popcorn as Robin reports back from the Toronto International Film Festival for the 2014 edition of an obligatory Cinema Hut. Ken’s Time Machine departs from formula to contemplate an omnibus question from Fridrik Bjarnason. Which characters in history are so serendipitous or unlikely that they must have been undercover time-travelers? 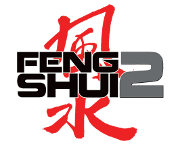 Finally, Among My Many Hats sees Robin chatting about Feng Shui 2, which is Kickstarting even as we speak. This entry was posted on September 26th, 2014 at 8:30 am and is filed under Podcast. You can follow any responses to this entry through the RSS 2.0 feed. You can leave a response, or trackback from your own site. What’s the Tilda Swinton/David Bowie reality like? Or, if you need a meatier topic, what are some alternate realities we have contact with? Time Incorporated has a job for Ken _and_ Robin. Make one of Riel’s Rebellions successful and explain the consequences. 1) Ken has alluded several times (if my memory is accurate) that his opinions of the plausibility of his Alternate Earths worlds are more skeptical when he wrote them. If he had an opportunity to rewrite, say, Ezcalli, or one of the other worlds, say for a new edition of AE 1/2, what changes would he make in the reboot? 2) I was looking the AusFlag website (where Australian citizens submit alternate national flag designs) and there was a mention that purple is not used on any current national flags. It seems to be relatively rare historically as well. Is there any elliptonic hay to be made out of this factoid? Ken, you and your Time Machine need to go back and save the lives of HP Lovecraft, Robert E Howard and H Beam Piper. Ken mentioned that Genghis Khan was one of the top five military strategists in history. Who do the pair of you think the other four are? I have my own idea of course: Alexander the Great, Hannibal, Pyrrhus and possibly Pericles. Or Phillip of Macedon. It’s tough…and my list is entirely classical. Would love to hear this debated in the military history hut! Wonderful show- it makes my long morning bus ride almost tolerable! Hi Ken and Robin, the Night’s Black Agents’ fan and GM that I am would like some gaming advice please. What would you (do you already?) do to set the mood right when setting your adventures in currently explosive areas, like Eastern Europe of the Middle East. Gaming is all about having fun indeed, but I feel uncomfortable making light of the serious events that happen nowadays, sadly, or having to unwillingly prompt my players to do so. And my question could also apply to choosing the right plot elements so as not tone down the human involvement in atrocities that are committed every day, even though our game revolves around bloodthirsty Conspiracies. Thanks a lot for any answers you could provide me with. Oh! And thanks you so much (once again) for your amazing and absolutely inspirational podcast. Do you have your TIFF recommendations list handy and near enough to you to throw it up here in a comment? Thanks! When can I preorder your next Osprey opus “Hover-Tank Divisions of the Chinese Robot Emperor”? Very glad to hear that the Dracula Dossier is about to achieve declassification. Interesting that MI6 has contracted out its document lending services to this “Kickstarter” outfit. Anyway, looking forward to getting it into the hands of my analysts post-haste. A question for Robin: As the creator of Feng Shui, what five (or ten, if you have that many) films should neophyte watch to really understand what the game is about?